IUPUI’s Office of Transfer Student Services hosted its second annual Transfer Symposium in Hine Hall on Friday, September 22, 2017. 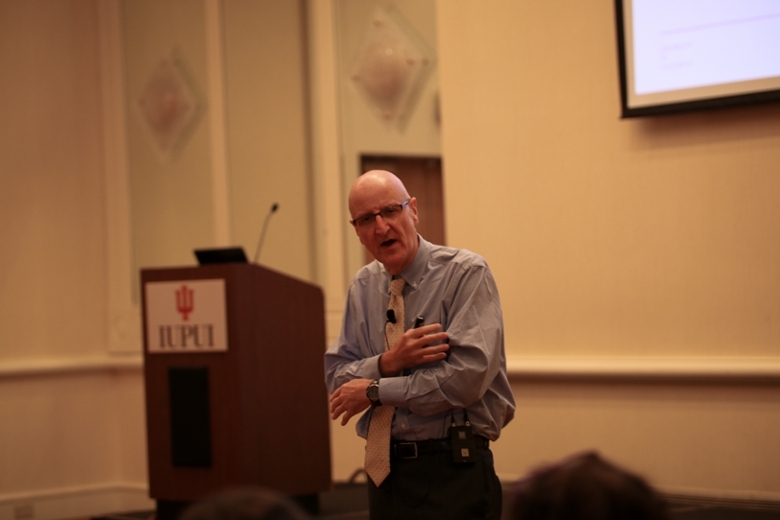 The event was attended by IUPUI faculty and staff from multiple departments across campus who participated in sessions related to the transfer student experience and how it can be enhanced. Rachel Fulton, assistant director for the Office of Transfer Student Services, described the annual Transfer Symposium event as “a dedicated time to talk about transfer and everything that comes along with that.” According to Fulton, roughly one-third of IUPUI’s undergraduate population consists of transfer students, and part of this year’s program focused on students’ first-hand accounts regarding their transfer experience at IUPUI. This year’s keynote speaker was Stephen Handel, associate vice president of undergraduate admissions, Office of the President, at the University of California and member of the National Institute for the Study of Transfer Students Advisory Board. His presentation focused on the successful partnering of large academic institutions and local community colleges to offer students a wide range of options in transferring two-year degrees into four-year degrees. 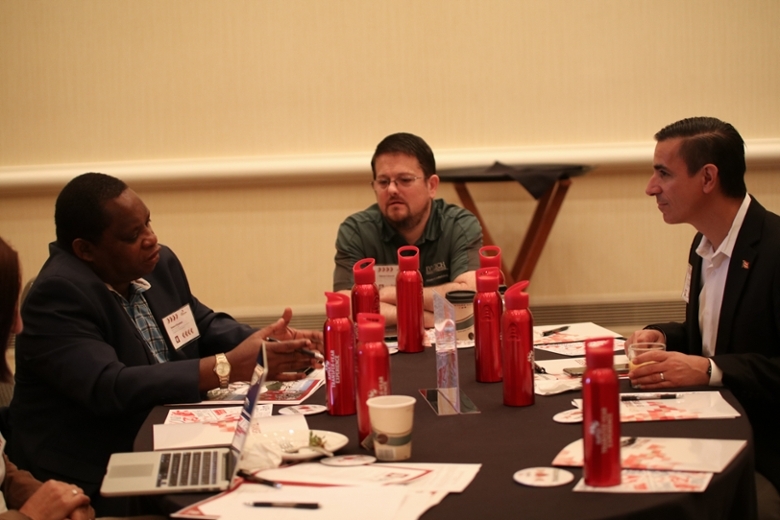 The annual Transfer Symposium brings together staff and faculty across campus to design ways to enhance the transfer student experience at IUPUI. 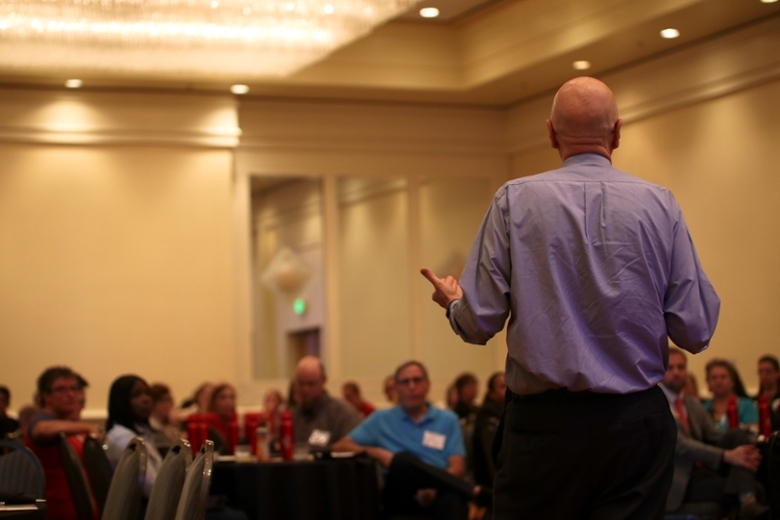 The symposium included two breakout sessions that included presentations on a variety of subjects ranging from transfer student demographics to successful strategies for fostering transfer student growth and inclusion on campus. Presenters at this year’s event included Steven Graunke, director of Institutional Research and Assessment; undergraduate students Brenna Dilley and Kristin Scriven; Samantha Walters, director of Advising and Student Success at the School of Liberal Arts; Gwen Chastain, director of the Office of Educational Partnerships and Student Success; Joe Hayes, director of Campus Center and Student Experiences; Marvin Smith and Jim Fiddler, director and associate director, respectively, of Student Financial Services; Brian Ornelas, senior articulation specialist; and Matthew R. Moody and Stephanie Dennis-Lovett, associate director and senior assistant director, respectively, for Strategic Operations. Attendees at the 2017 Transfer Symposium discuss the transfer experience at IUPUI before participating in breakout sessions. Keynote speaker Stephen Handel, associate vice president of undergraduate admissions at the University of California. 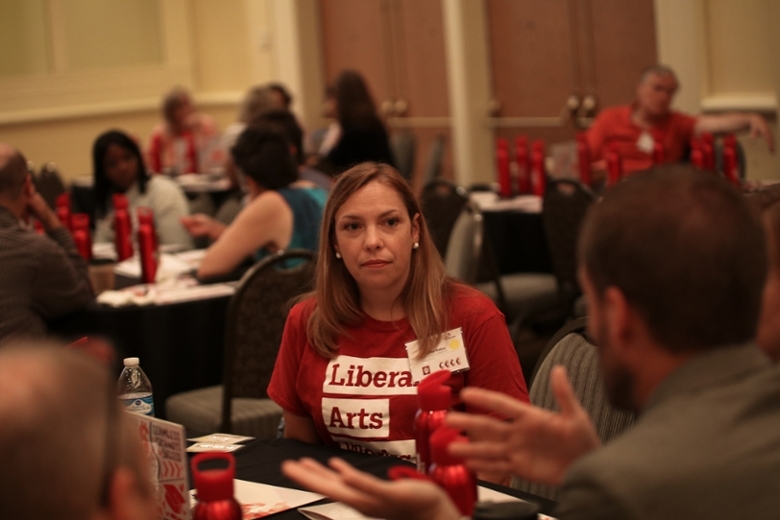 Maureen Kinney, executive director of Academic and Career Development (ACD) in the IUPUI Division of Undergraduate Education, was one of the engaged participants at this year’s symposium. Her office provides career coaching, major exploration, academic planning, and many other services to help students transition into their degree-granting schools. The annual Transfer Symposium helps ACD to expand and to improve the helpfulness of its programs, which are utilized by many transfer students on campus.